1. Achromatic lens made of high quality silicate. 2. 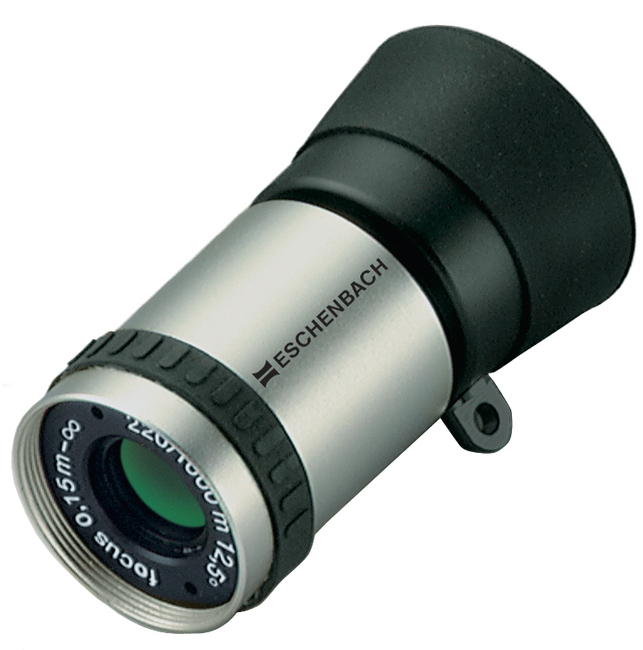 Can be used as a hand-held monocular in combination with finger ring (Item No. 16711). 3. Can be used as a spectacle mounted telescope. 4. High level of light transmission and image brightness. 5. Small, lightweight and inconspicuous. 6. High quality, dust-proof metal housing. 7. Very short near point. 8. With an intermediate adapter can be used with reading caps Item No. 16210-162116. 9. Roof prism system with multicoating. 10. Supplied with: carrying cord, case.